A scared teenager on the run. An infant child some say is humanity's savior. A former lover whose life is now hobbled by a terrible secret. A law partner accused of a horrible crime. A city being overcome by an inscrutable menace. They need a guardian. Someone to protect them. Someone with faith in them. They need Daredevil. 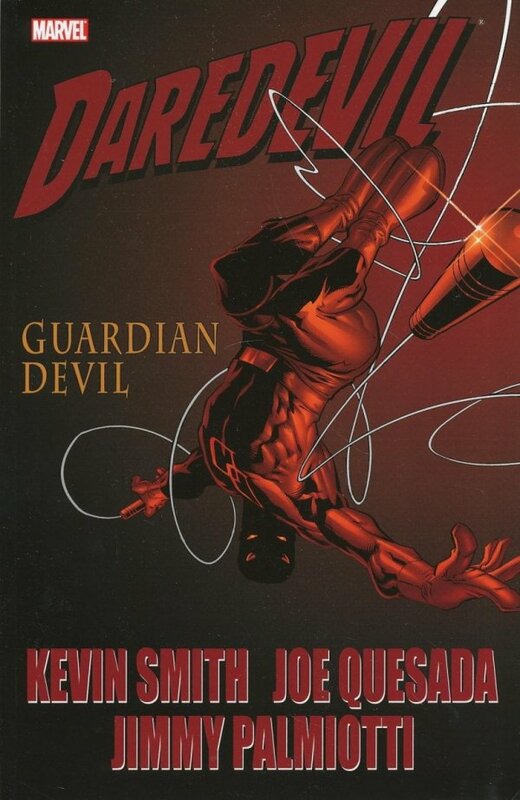 "Guardian Devil" found Kevin Smith (Clerks, Chasing Amy) confidently transitioning from writing acclaimed screenplays to comics that hit the top of the sales charts and critics' lists. It also found artist Joe Quesada at his peak as the stylist that would usher Marvel Comics into the 21st century - both as an artist and its future editor in chief.